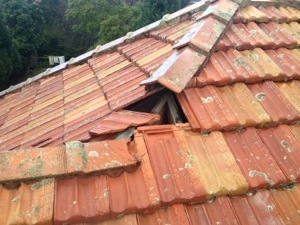 Yesterday I was called out to look at a roof in Balmain. The neighbours had been complaining that parts of it were landing in their property! 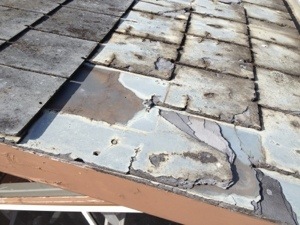 On investigation I found that the rear part of the house had been renovated and an imitation type slate material had been used for the roof. It was quite light weight and not a common material for roofing in Australia. And I know why, cockatoos had been pulling it apart, literally shredding it and it was blowing all over the neighbourhood in heavy wind. Should have stuck with the tried and tested; Colorbond, Tile or real Slate ! Besides the obvious reasons why a Colorbond roof is better than tile; (namely superior hail resistance and less weight on the structure of the house) I discovered another reason the other day: When a possum gets trapped inside a tile roof, it will push its way out, dislodging the tiles. Most of the time the home owner will not even know there is a problem… Until the next heavy rain that is.